Posted in Silent Sunday on 13/07/2014 by mummyglitzer. Beauitful. I love the soft pink of those, how pretty. I love having flowers in the house, they make me happy. 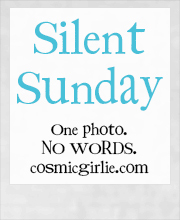 Kim Carberry recently posted..Silent Sunday! What stunning gladioli. They look so ethereal. Beautiful colours. Gorgeous glads - I have planted a row in the veg patch for picking but they are no-where near flowering yet. Those are beautiful colours. For any special occasion or just because they're nice? Just because. 🙂 They have gone rather floppy now though so I might go and buy some more. Beautiful photo, love the colours.